The first round tips off tomorrow. Before the top-seeded Chicago Sky begin their WNBA playoff run against the Indiana Fever on Friday, Swin Cash and Epiphanny Prince give us a look at their postseason Player Exclusives. 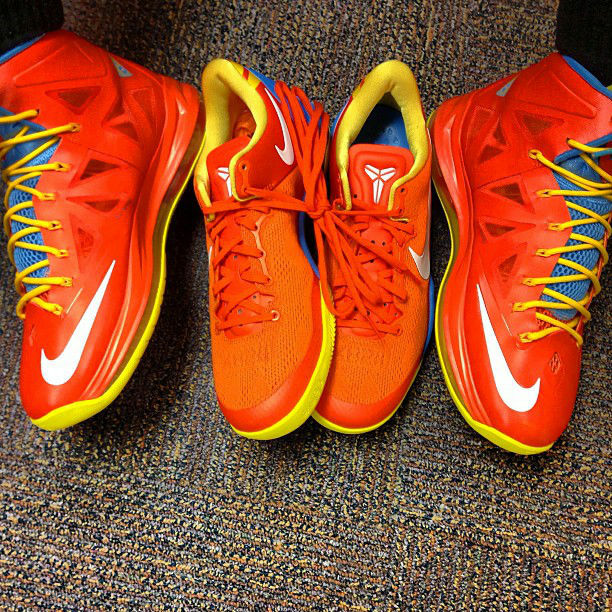 For Swin, an orange-based colorway of the Nike LeBron X with light blue and yellow accents. Epiphanny has the same theme applied to her custom Kobe 8 System. What do you think of the ladies' styles for the playoffs? Share your thoughts below.